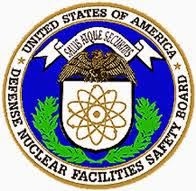 The Department of Energy (DOE) recently submitted a report* to the Defense Nuclear Facilities Safety Board (DNFSB) covering DOE’s evaluation of Safety Conscious Work Environment (SCWE) self-assessments at various DOE facilities. This evaluation was included in the DOE’s Implementation Plan** (IP) developed in response to the DNFSB report, Safety Culture at the Waste Treatment and Immobilization Plant. *** (WTP, or the Vit Plant). This post provides some background on how WTP safety culture (SC) problems led to a wider assessment of SC in DOE facilities and then reviews the current report. Part of the DOE review was to assess SCWE at a group of selected DOE facilities. DOE submitted SC assessments covering five facilities to DNFSB on Dec. 12, 2012. We reviewed the package in our post Jan. 25, 2013 and observed “The DOE submittal contained no meta-analysis of the five assessments, and no comparison to Vit Plant concerns. As far as [we] can tell, the individual assessments made no attempt to focus on whether or not Vit Plant concerns existed at the reviewed facilities.” We called the submittal “foot dragging” by DOE. A related DOE commitment was to perform SCWE self-assessments at numerous DOE facilities and then evaluate the results to determine if SCWE issues similar to WTP’s existed elsewhere. It is important to understand that this latest report is really only the starting point for evaluating the self-assessments because it focuses on the processes used during the self-assessments and not the results obtained. The evaluation of the self-assessments was a large undertaking. The evaluation team visited 22 DOE and contractor organizations and performed document reviews for 9 additional organizations, including the DOE Office of River Protection and Bechtel National, major players in the WTP drama. Problems abounded. Self-assessment guidance was prepared but not distributed to all sites in a timely manner and there was no associated training. Each self-assessment team had a “subject matter expert” but the qualifications for that role were not specified. Data collection methods were not consistently applied and data analyses were of variable quality. As a consequence, the self-assessment approaches used varied widely and the results obtained had variable reliability. 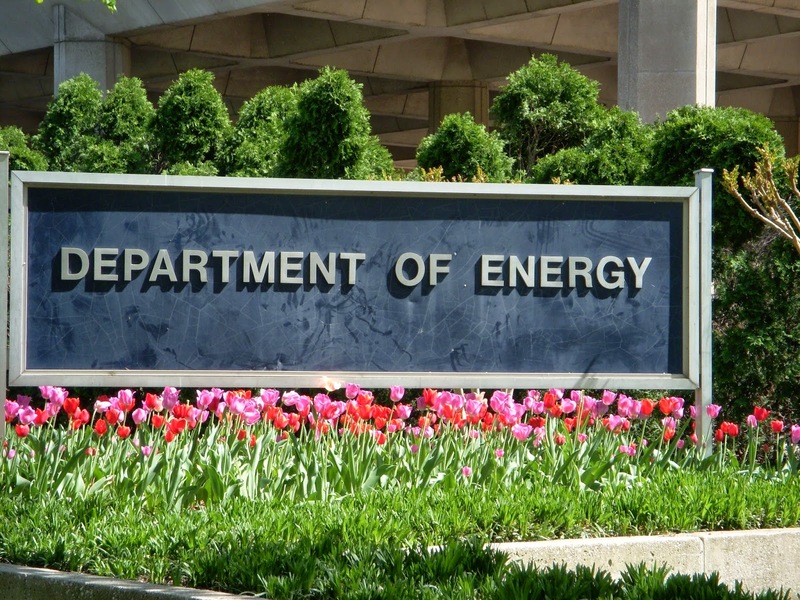 The steps taken to date do not inspire confidence in the DOE’s interest in determining if and what SCWE (much less more general SC) issues exist in the DOE complex. For the facilities that were directly evaluated, we have some clues to the existence similar problems. For the facilities that conducted self-assessments, so far we have—almost nothing. There is one big step remaining: DOE also said it would “develop a consolidated report from the results of the self-assessments and HSS independent reviews.” (IP, p. 20) We await that report with bated breath. For our U.S. readers: This is your tax dollars at work. * DOE Office of Enforcement and Oversight, “Independent Oversight Evaluation of Line Self-Assessments of Safety Conscious Work Environment” (Feb. 2014). 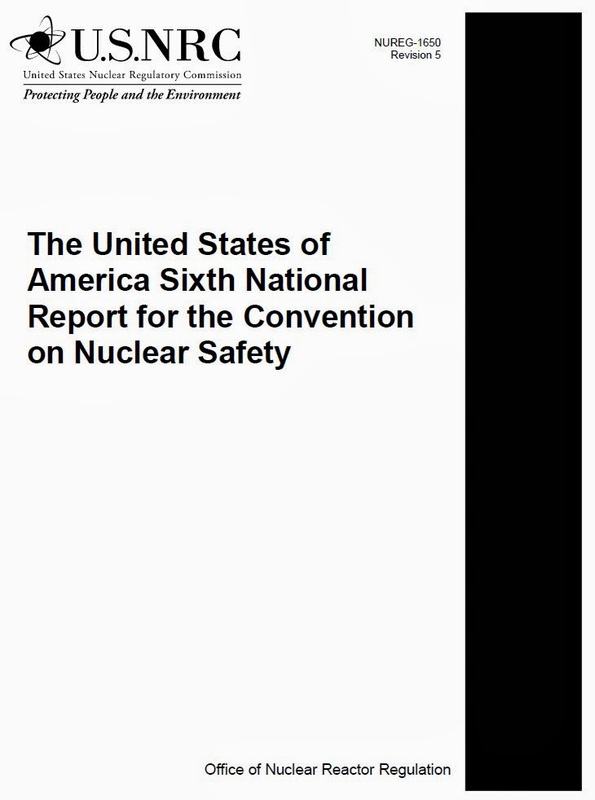 *** Defense Nuclear Facilities Safety Board, Recommendation 2011-1 to the Secretary of Energy "Safety Culture at the Waste Treatment and Immobilization Plant" (Jun 9, 2011). **** DOE rationalized reducing the scope of investigation from SC to SCWE by saying “The safety culture issues identified at WTP are primarily SCWE issues. . .” (p. 17) We posted a lecturette about SC being much more than SCWE here. An op-ed* in the Japan Times asserts that the root cause of the Fukushima No. 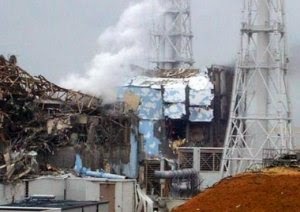 1 (Daiichi) plant’s failures following the March 11, 2011 earthquake and tsunami was TEPCO’s weak corporate safety culture (SC). This post summarizes the op-ed then provides some background information and our perspective. According to the authors, Tohoku Electric had a stronger SC than TEPCO. Tohoku had a senior manager who strongly advocated safety, company personnel participated in seminars and panel discussions about earthquake and tsunami disaster prevention, and the company had strict disaster response protocols in which all workers were trained. Although their Onagawa plant was closer to the March 11, 2011 quake epicenter and experienced a higher tsunami, it managed to shut down safely. SC-related initiatives like Tohoku’s were not part of TEPCO’s culture. Fukushima No. 1’s problems date back to its original siting and early construction. TEPCO removed 25 meters off the 35 meter natural seawall of the plant site and built its reactor buildings at a lower elevation of 10 meters (compared to 14.7m for Onagawa). Over the plant’s life, as research showed that tsunami levels had been underestimated, TEPCO “resorted to delaying tactics, such as presenting alternative scientific studies and lobbying”** rather than implementing countermeasures. The op-ed is a condensed version of the authors’ longer paper***, which was adapted from a research paper for an engineering class, presumably written by Ms. Ryu. The op-ed is basically a student paper based on public materials. You should read the longer paper, review the references and judge for yourself if the authors have offered conclusions that go beyond the data they present. Also note that the authors do not mention Fukushima No. 2 (Daini), a four-unit TEPCO plant about 15 km south of Fukushima No. 1. Fukushima No. 2 also experienced damage and significant challenges after being hit by a 9m tsunami but managed to reach shutdown by March 18, 2011. What could be inferred from that experience? Same corporate culture but better luck? Bottom line, by now it’s generally agreed that TEPCO SC was unacceptably weak so the authors plow no new ground in that area. However, their description of Tohoku Electric’s behavior is illuminating and useful. * A. Ryu and N. Meshkati, “Culture of safety can make or break nuclear power plants,” Japan Times (Mar. 14, 2014). Retrieved Mar. 19, 2014. ** Quoted in the op-ed but taken from “The official report of the Fukushima Nuclear Accident Independent Investigation Commission [NAIIC] Executive Summary” (The National Diet of Japan, 2012), p. 28. The NAIIC report has a longer Fukushima root cause explanation than the op-ed, viz, “the root causes were the organizational and regulatory systems that supported faulty rationales for decisions and actions, . . .” (p. 16) and “The underlying issue is the social structure that results in “regulatory capture,” and the organizational, institutional, and legal framework that allows individuals to justify their own actions, hide them when inconvenient, and leave no records in order to avoid responsibility.” (p. 21) IMHO, if this were boiled down, there wouldn’t be much SC left in the bottom of the pot. *** A. Ryu and N. Meshkati, “Why You Haven’t Heard About Onagawa Nuclear Power Station after the Earthquake and Tsunami of March 11, 2011” (Rev. Feb. 26, 2014). This report is typical. It’s not bad, but it’s incomplete and a bit misguided. The directive for senior management to establish safety as the highest priority and implement that priority is good but incomplete. There is no discussion of how safety is or should be appropriately considered in decision-making throughout the agency, from its day-to-day operations to strategic considerations. More importantly, Metro-North’s recognition, reward and compensation practices (keys to shaping behavior at all organizational levels) are not even mentioned. The Safety Department discussion is also incomplete and may lead to incorrect inferences. The report says “Currently, no single department or office, including the Safety Department, proactively advocates for safety, and there is no effort to look for, identify, or take ownership of safety issues across the operating departments. An effective Safety Department working in close communication and collaboration with both management and employees is critical to building and maintaining a good safety culture on any railroad.” (p. 13) A competent Safety Department is certainly necessary to create a hub for safety-related problems but is not sufficient. In a strong SC, the “effort to look for, identify, or take ownership of safety issues” is everyone’s responsibility. In addition, the authors don’t appear to appreciate that SC is part of a loop—the deficiencies described in the report certainly influence SC, but SC provides the context for the decision-making that currently prioritizes on-time performance over safety. Metro-North training is fragmented across many departments and the associated records system is problematic. The proposed fix focuses on better organization of the training effort. There is no mention of the need for training content to include any mention of safety or SC. We have often griped about SC assessments where the recommended corrective actions are limited to more training, closer oversight and selective punishment. How did the FRA do? 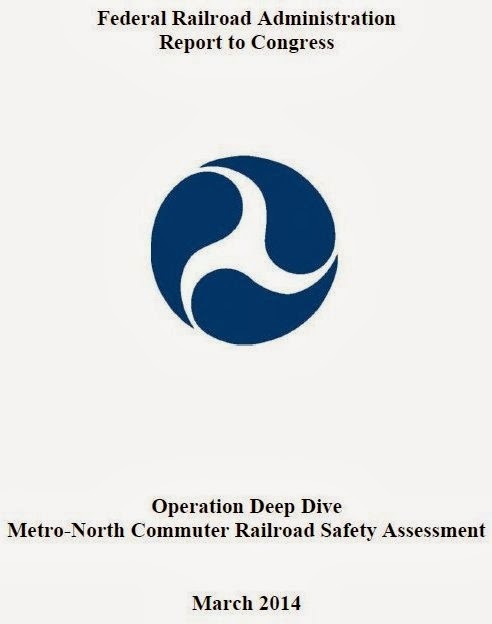 * Federal Railroad Administration, “Operation Deep Dive Metro-North Commuter Railroad Safety Assessment” (Mar. 2014). Retrieved Mar. 14, 2014. The FRA is an agency in the U.S. Department of Transportation. ** The report also includes a laundry list of negative findings and required/recommended corrective actions in several specific areas. Declining Safety Culture at the Waste Isolation Pilot Plant? Recently there have been two incidents at WIPP. On Feb. 5, 2014 a truck hauling salt underground caught fire. There was no radiation exposure associated with this incident. But on Feb. 14, 2014 a radiation alert activated in the area where newly arrived waste was being stored. Preliminary tests showed thirteen workers suffered some radiation exposure. So, are these incidents an early signal of a nascent safety culture (SC) problem? After all, SC issues are hardly unknown at DOE facilities. Or is the SC claim simply the musing of an opportunistic anti? Who knows. At this point, there is insufficient information available to say anything about WIPP’s SC. However, we’ll keep an eye on this situation. A bellwether event would be if the Defense Nuclear Facilities Safety Board decides to get involved. * See the WIPP and Environmental Protection Agency (EPA) websites for project information. If the WIPP site is judged suitable, the underground storage area is expected to expand to 100 acres. The EPA and the New Mexico Environmental Department have regulatory authority over WIPP. The NRC has regulatory authority over the containers used to ship waste. See National Research Council, “Improving the Characterization Program for Contact-Handled Transuranic Waste Bound for the Waste Isolation Pilot Plant” (Washington, DC: The National Academies Press, 2004), p. 27. 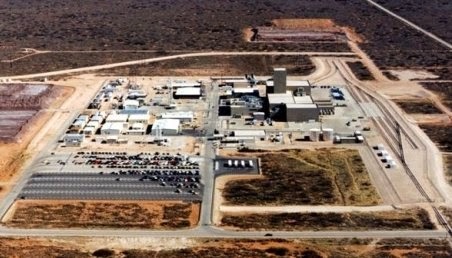 ** J. Clausing, “Nuclear dump leak raises questions about cleanup,” Las Vegas Review-Journal (Mar. 1, 2014). Retrieved Mar. 3, 2014.